Few days ago, I moved the bird feeder from upstairs to another window that is above my balcony. 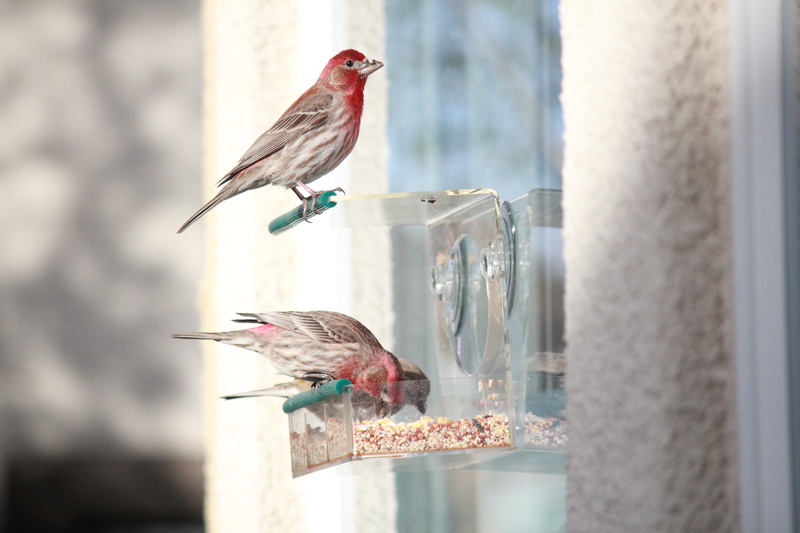 It is not only easier to install and refill the seeds, but also it provides another nice angle to watch the birds. 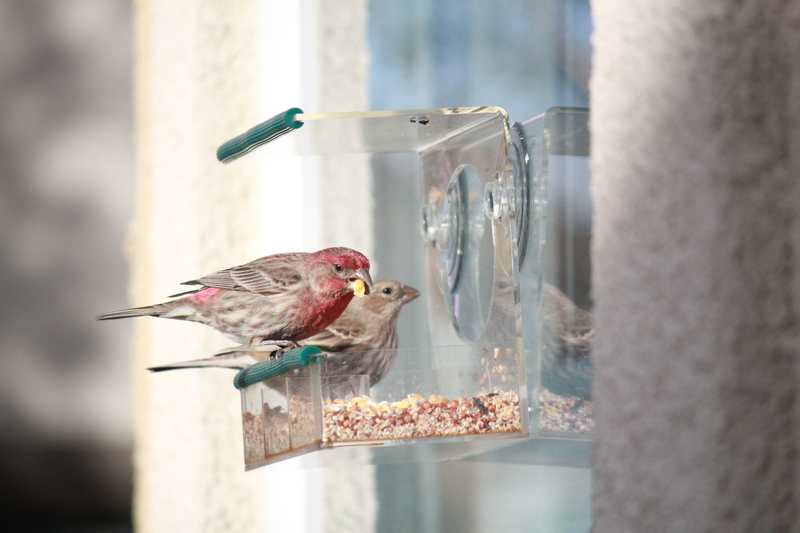 I found they visit the feeder more often and they began a referral program! Here are new shots that I did this morning with my boy. I just realize there are more than 3 finches are actually in their red color fur. They are so beautiful! I like this shot. As the bird is still eating the corn, while he just realized he’s on the camera!